← Log Cabin Kits, Are They For You? The allure of fast or even instant results from modern day technologies like phones and instant messaging has drastically affected our view of log home building. In the same way, we want fast and reliable results without going through the process. 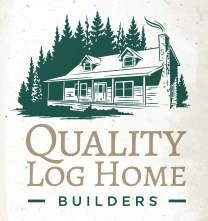 When it comes to log home building NC, there are various factors that affect the building process. Factors such as financing, lack of talented labor and other delays influence the length of the building and the quality of the building. However, log cabin builders have mastered the art of building log homes. They will deliver your desired house in the shortest time possible. How does a log cabin builder build your home? Here, the client gives the details of their ideal log home and the design they would like to achieve. You have nearly endless customization options with your log home! After you give your idea to the log home builder, they start by drawing a plan. The plan can be adjusted according to your prefrences, we want what you want! Once the plan is final, a proposal preparation by the log home builder begins. The proposal by the engineering team gives details on the materials needed in the construction of your log home. The final proposal gives the price estimate for building your log home. After payment, the building materials are delivered to the site. Construction begins! Once the floor plans are completed by a log cabin builder,construction begins with laying down the foundation and the basement. The foundation should be built on suitable ground with the help of soil analysis by a soil engineer. With the foundation already built, the log cabin builder can now build the basement walls. After the walls are built, the installation of the first floor can now proceed. The decks are built once the floor is complete. The logs used by a log cabin builder are cut to precise lengths on the job site to ensure quality work is done. A notch for the receptacles and switches is also done. 8.) Installing the walls and roof frame! The 1stfloor interior walls come up first, followed the 2ndfloor walls and gables. After the exterior walls are done, it is time to frame the roof! You’re almost done! The log cabin builder can begin staining, installing the metal/shingle roofing, porch rails, window/door, electrical, plumbing, heating and air and wall/floor covering. Sometimes, people choose to build the log home themselves. This might prove difficult especially some parts such as the roof framing and the precision cutting of logs to fit your desired design. In such instances, it is preferable to ask for professional help to make sure that your log home turns out as you expected it to. You can even do some yourself and get help on other parts if you’re really into doing it yourself! For this reason, a log cabin builder NC is the go-to for all of your log cabin needs in the state! This entry was posted in Log Cabin Homes and tagged home building, log cabin maintenance, Log Home Builders, NC log homes, North Carolina log cabins. Bookmark the permalink.